This is the third book by Paul E. Nowak that I have read in the last few months. Each of them has been an excellent read, but by far this is my favorite. There are many people out there who do not like military or warrior imagery being used for Christianity of Catholicism today. I tend to be on the other end of the spectrum. The church is not just a hospital or social club. The church is to be an army, that had medics and military hospitals. 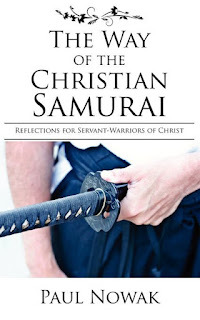 And this book does an amazing job of looking at precepts from the Samurai tradition and tying them to the bible and what it means to fully be a Christian. When I was in university, 30 years ago, I led a prayer group called Prayer Warriors. We met at 630am on campus 4 days a week to pray. Pray for the campus, the city and our country. This book would have been an amazing book to work through then, and it is now. I have already recommended it to over a dozen friends. "The Samurai were soldiers of feudal Japan who dedicated their lives entirely to their lords. In fact, the very title of samurai means "one who serves." Legends of their skill, sacrifice, and service have been passed down for hundreds of years. As Christians, we are called to be both servants and soldiers of Christ. As this book demonstrates, there is much we can learn from the teachings and example of these legendary servant-warriors of Japan. 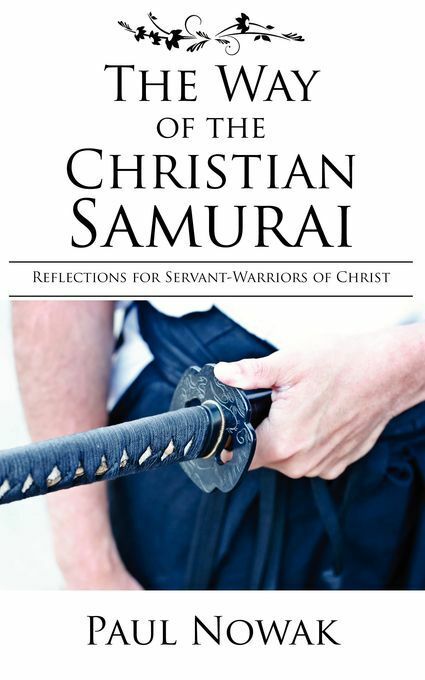 We can respond to the call of our Lord, Jesus Christ, as Christian Samurai." "By being secure in our goal to love and serve God, trials and tribulations will do little to sway us from our course. We must work to improve our resolve by constantly keeping our Lord in the foremost part of our mind, and remembering it is with His Spirit we will endure and overcome. The samurai forged their spirit and resolve through rigorous training. Tesshu's school of Muto Ryo was considered especially harsh and repetitive, for he placed importance first on their resolve. Tesshu selected his students carefully - not based on their skill or talent, but their willingness and perseverance of spirit. He would challenge applicants to attack him, and he would force them down - only to order them to attack again, and again, until they were exhausted. Tesshu would keep this up for as much as a week in order to get a feel for the trainee's determination to enter the school. 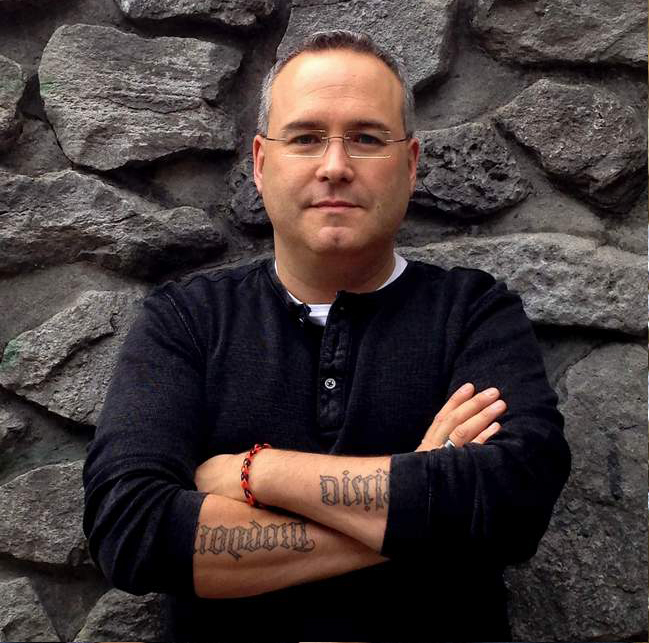 Their ability to wield the sword was not nearly as important as the strength of their spirit." I pledge myself wholly to Your service as a loyal Christian samurai. You alone will I serve, with no other master before You. Daily I will live as dead to the world so that I may live only in You. May Your Will always come before my own. Give me the strength to tirelessly perfect myself and serve all humanity, for each and every person in this world is Your treasure. May I never forget that I have only the present moment to act, and to joyfully press on in times of difficulty. Although everything I have in this life will pass away, so long as I remain focused on You I have nothing to fear, for I can never lose Your Love. When all that You require of me is done, may I rest forever in your embrace as your faithful servant. This book was an excellent read, and one I desperately needed to read right now. I typically do not keep physical books, preferring eBooks, but because of the nature and style of this book, I plan on picking up a physical copy to keep on my shelf. That way I can randomly flip it our and read sections. Or just constantly have a book mark in it as I read it again and again. I have already read it through twice and know it will not be long before I read it again. This book is a fantastic read, and I believe that anyone who read it with an open heart, will be challenged, motivated, and encouraged to grow in discipline and through that discipline in their relationship and service to God!